Stephen Marshall-Ward is a creative musician, educator, designer, and activist. As a musician, Stephen’s earliest beginnings go all the way back to being appointed as the “Rhythm-Band Director” in his kindergarten class. Piano lessons followed and by sixth grade he began playing the piano for church services. In seventh grade he had his first experience with choral conducting as the director of the Women’s Chorus for his home church. Organ lessons began in early high school followed by his first professional appointment at age fifteen at a church. Five weeks after his first organ lesson, he performed his first solo organ concert. His first European Concert Tour followed at age seventeen performing nineteen concerts in seven countries. Stephen’s formal education focused on music and theology. Throughout his Bachelors (Bob Jones University) and Masters Degree (Pensacola Christian College) Programs, Stephen served congregations as Organist and Music Director, finding ways to concertize and collaborate with other musicians. Throughout his post-graduate studies, Stephen garnered a breadth of education: Westminster Choir College (studying organ with Joan Lippincott, Chair of the Organ Department and Organist at Princeton University); private study for one summer with Dr. John Weaver (Chair of the Organ Department at the Juilliard School and Music Director at Madison Avenue Presbyterian Church); Ph.D. work in the School of Church Music at Southwestern Baptist Theological Seminary (studying organ with Dr. Albert Travis – Chair of the Organ Department and Organist at Fort Worth’s Broadway Baptist Church); and finally as recipient of a Doctorate in Sacred Music (D.S.M.) through The Graduate Theological Foundation with coursework completed through the Summer Program at Oxford University (Christ Church). For his final Doctoral Project, under the tutelage of his Supervisor and Mentor, Bishop David Stancliffe (Bishop of Salisbury Cathedral), Stephen presented a choral concert (with Cantabile of Skagit Valley) and a definitive paper focusing on the Mid-Winter Songs by Morten Lauridsen. Stephen is extremely grateful to all his musical and spiritual tutors and collaborators who helped to guide him to where he is today. Current musical collaborations include being half of the Duo-Organist team with Dr. Wanda Griffiths – performing together throughout the Northwest and in Southern California. Directing choirs and playing keyboard instruments have always been at the forefront of Stephen’s musical life. Most-recent highlights include being a guest organist at the Cologne Cathedral, directing a performance at Seattle’s Benaroya Hall with nearly two hundred singers and the Cascade Youth Symphony Orchestra (where he also played the organ for Saint-Saëns’ Organ Symphony), and being one of a dozen area conductors chosen by the Greater Seattle Choral Consortium to conduct the Dies irae and tuba mirum movements for the performance of Mozart’s Requiem. Stephen is now Minister of Music and Organist at All Pilgrims Christian Church and Accompanist at Temple B’nai Torah in Bellevue. Stephen is continually growing as a gifted composer and arranger of choral and instrumental music. His musical and ecclesiastical background makes him a much sought-after director and mentor. 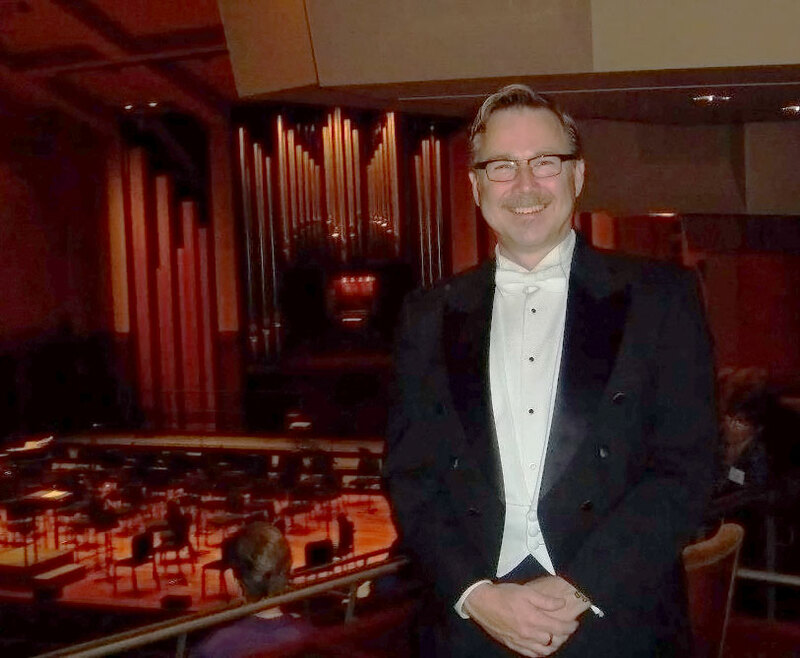 He currently serves as Musical Director of “reSound – A Northwest Chamber Ensemble" in residence at Trinity Lutheran Church in Lynnwood. Stephen finds his greatest joy in helping other people discover and free their gifts – giving voice to their own dreams and callings. 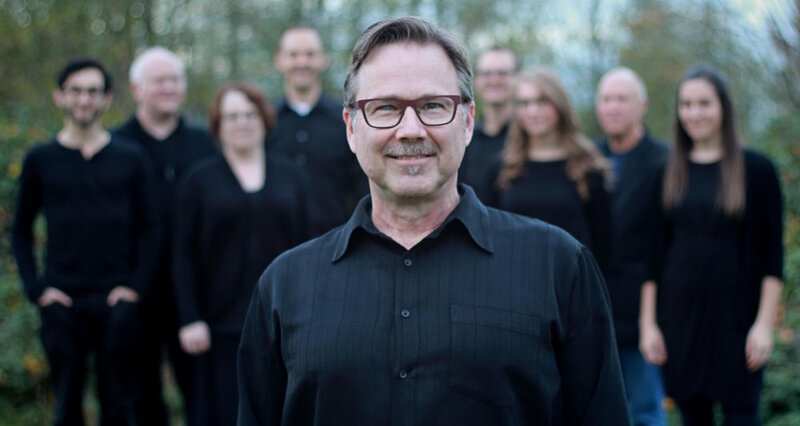 Growing up in northwest Oregon, the second of four sons of a Baptist Minister, Stephen showed a distinct interest in both music and architecture from an early age. As a child, he would often doodle and sketch different buildings. This desire and skill developed alongside his life of music until he became Owner and Principle Designer of Stephen Marshall Design. With a base of over seventy clients, his design projects reach from Bellingham, WA, to Salem, OR; from Bainbridge Island to Yakima. Stephen and his team work in residential design, commercial design, and specialize in spiritual spaces – focusing especially on custom work expressively created for specific client needs. As an activist, Stephen is Founder and Director of the Institute for Social Change through the Arts. With his extensive training and experience in music, theology, design, and education, Stephen is invited to speak and lecture regularly on topics such as Worship and the Arts, Aesthetics in Spiritual Spaces, and Arts for Social Change. He is passionate about social justice, transformational worship, and beautifully-inspired music and design. Stephen has two wonderful grown sons and lives in Lynnwood, WA with his husband James and their silky terrier, Nikki. Stephen with Design Associate Myrna Morey at the Seattle Design Center Awards Gala. Stephen showing off his dancing skills with the mother of the bride.